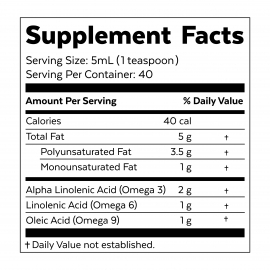 We are sorry this product is currently out of stock, we are expecting our next batch in the next few months. 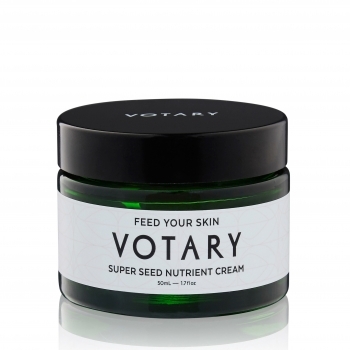 Fragrance Free Votary Super Seed Nutrient Cream – Soothing, nourishing and protective care for sensitive skin that is experiencing redness and dehydration. 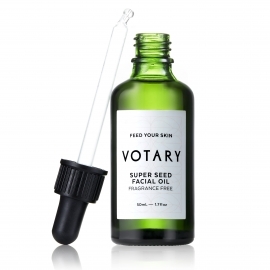 Our Super Seed Facial Oil has become a cult product, loved for its power to nourish sensitive skins. Super Seed devotees reached out and asked us for a rich fragrance free cream to help seal in and amplify the goodness of the facial oil. 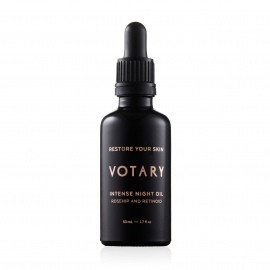 In response, we’ve used our plant oil expertise to create the very first Votary cream. 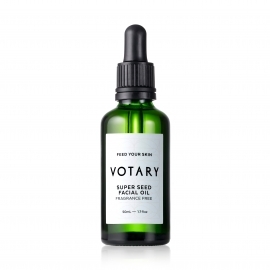 Like the Super Seed Facial Oil, Votary Super Seed Nutrient Cream is a carefully formulated source of support for fragile skin. 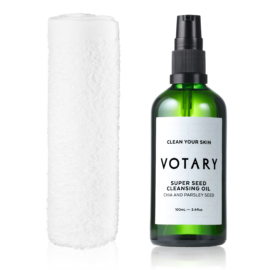 Its calming formula is fragrance free, natural and boosted with 22 richly nourishing super seed oils. It helps to create a layered barrier between your face and the world, protecting against cold or dry air and restoring comfort to your complexion. Deeply moisturising, protective and fabulous for skin recovery, Super Seed Nutrient Cream’s unique formula leaves your skin matte, smooth and ready to face the elements. 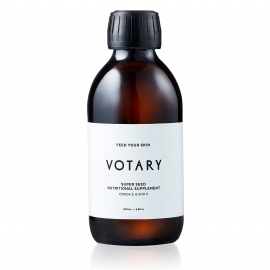 Simply massage into your skin after your Votary facial oil.